Over the 10 years I have been a therapist, I have literally seen everything you can imagine! During those years, a lot of the same things occurred over and over so I think it’s about time now to tell you some of my personal massage Do’s and Don’ts and answer all those frequently asked questions! Enjoy the read! What should I wear to my massage? Undies or no undies? Anything you want! We give you instruction on what to do and how to disrobe so the clothing you wear to see us doesn’t really matter. When it comes to undies or no undies, therapists actually prefer a client who is completely undressed. If you just can’t do it, we understand. But why do we prefer that? We can really get into those upper hamstrings, your hips and lower back/gluts when underwear isn’t in the way. 9 out of 10 low back pain sufferers don’t realize their hamstrings and gluts are to blame so by removing the underwear, it lends to a better over all massage and better flow for long strokes by your therapist. 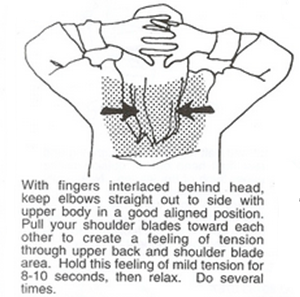 Massage Don’t: Stay relaxed. Don’t help your therapist. Relinquish control! So many people want to help me during the massage by moving their arms for me, lifting their head or adjusting their legs. DON’T DO THAT!! You’re so focused on helping me or holding your arm out that you aren’t concentrating on relaxing! I’ll move your arm or leg however I need it when I need to move it. Trust me, I won’t let your appendages flop or fall or drop your head! 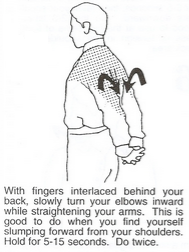 A lot of people “strong arm” me by holding their arm out when I massage. When you do this and aren’t relaxed, it is actually harder on the therapist because they have to fight against a muscle that isn’t relaxed. It is hard to completely give away control, but you can practice by concentrating on your deep breathing and trusting your therapist. It makes for a much more relaxing massage. TRUST ME!! Massage Do: Tell your therapist what you want! Don’t be afraid to say “more work on my neck please” or “harder pressure on my feet please.” We can’t read your mind although we can read your body cues quite well. You are investing money in this treatment, and we want it to be worth your while so don’t be afraid to tell us things like this! We want this to be an amazing experience! We don’t get offended if you tell us to be specific. In fact, we want you to be specific then we can achieve greater results. Stayed tuned for Parts 2 – 4 coming soon! What to expect in Part Deux: Talking in your service, is my therapist good?, and I’m new and clueless! 1. It helps you manage stress! Stress is directly related to a wide variety of health issues in our lives – from problems as common as migraine headaches to serious diseases like cancer. Managing stress could very well mean you are preventing physical problems in your body. When we undergo stress, our bodies release the hormones adrenaline and cortisol to help us react to the situation. The problem is that this reaction, which is sometimes called “fight or flight,” can come at unnecessary times or be prolonged – making it hard to relax. Massage can release important endorphins – like serotonin and dopamine – which are neurotransmitters that help you calm down. They’re often called your body’s natural “feel good” chemicals. Massage Therapy calms the body and relaxes the mind helping to reduce stress by lowering cortisol levels. Considering the detrimental effect of stress on your body, this can lead to a major difference in your overall well being. The lymph system is the body’s natural defense against toxins and impurities. Massage Therapy stimulates the flow of toxic waste from the muscles, organs and tissues for improved health, digestion and circulation. The removal of these toxins helps to improve your body’s overall health and homeostasis. 3. Recover From Injury Faster! Sports massage can break up scar tissue for more efficient movement. It can improve functional abilities and range of motion. The stimulation of muscular tissue through massage helps your body’s cell to be able to regenerate faster thus cutting down on your recuperation time. Massage can improve posture by helping to train muscles to be in the right position allowing for better support to our structure. By re-training your muscles, you will notice over time that your tension and stress will be alleviated. Tense muscles tighten and pull the body out of alignment and restrict circulation. Regular massage can increase circulation and relax the body to prevent chronic conditions from taking hold. Massage is to the human body what a tune up is to a car. It helps to reduce heart rate, lowers blood pressure and strengthens immunity by boosting lymphocytes. The release of endorphins and serotonin during a massage boosts the immune system and creates harmony in your body. You can’t help but feel good after a massage leading to a more positive disposition. Massage stimulates brain and cell activity in your body and reduces stress thus creating an overall better mood. Massage helps block the nervous systems pain receptors and increases blood flow to the muscles. It can increase mobility to the joints to help reduces arthritis pain, ease the pain of migraines, pregnancy, cancer and fibromyalgia. Any one who has had a massage can attest that you feel like a new person afterwards. In addition to all the health benefits listed above Massage Therapy boosts endorphins, the same hormone associated with a runners high. If you have never had a professional massage, now is the time to try! . So if you have a little or a lot to spend on a massage, investing time and money into one is well worth it. You don’t have to live with those little aches and pains! We are only given one body so taking care of it is very important. The term “certified pure,” ingesting oils, and using oils neat… questions answered! Anyway, check out this blog via my blog. It’s some great reading and very informative when it comes to wanting to delve more into the world of essential oils! Granola Living by Giselle Baturay <— Click here! Ever since I started my CCMA class, I have been getting a ton of questions concerning essential oils. I most recently spoke to a friend who has jumped on the band wagon and signed up for Young Living, joining the craze that millions of people across the country have been swept into. She had a lot of questions she didn’t realize that she would have once she had signed on. Like what exactly ARE essential oils? What can they do? Where do they come from? Why do they do the things that they can do? How can you tell if it’s a bad oil? All of these are very legitimate questions to ask when delving into the world of the unknown. 1) Paper test your oils. Drop a single drop of your oils on a sheet of paper. If it evaporates completely without residue, it is not diluted down with another carrier, solvent, or alcohol. Super easy and effective way of checking oil purity. 2) Know your constituents. Oils are made up of many constituents but the main ones contained in mostly all oils are terpenes, esters, aldehydes, ketones, phenols, alcohols and oxides. Some have pain relieving properties while others have calming ones. There are also constituents that are harmful and toxic! Learn these and know these! This can also help you learn what each oil is useful for. Check out Rosemary Caddy’s “Essential Oils in Colour” publication. It profiles 90 of the most commonly used oils by constituent and outlines what each oil is good for and how it affects a particular body system. 3) Know your source. My biggest pet peeve is when people “brand boost.” What I mean by that is saying one brand is superior to others. In some cases, this is totally true, but believe it or not, some of your favorite companies get their oils from the same places! How is that possible? Well, the process of extracting and/or distilling essential oils from plant materials can be costly and very laborious. There are very few places in the US that distill/extract EOs due to the high cost of the equipment, the time it takes, and the cost/time it takes to harvest what is needed to produce EOs. Some companies can product their own oils, but there are some oils that are more easily obtained by contacting a wholesaler distillery that is equipped to produce large amounts of a certain oil. So the Lavender oil from one company just may be the same oil another company is carrying. Always keep that in mind. You never know for sure, but it is a possibility. 4) Know the brands. Young Living is HUGE right now, but let’s not forget other companies such as Rose Mountain Herbs, DoTerra, Plantlife, Eden’s Garden, Florapathics, Essential Vitality, Aura Cacia, to name a few. All of these companies are very reputable companies that produce quality oils. As I mentioned in #3, there is a chance that some of their oils come from the same distillery. If you have questions about quality, do the minimal you can do and paper test it. I’ve tested oils from all of these places and 95% of them have “come clean” on paper. Just beware of companies that sell a large amount of oils for a very cheap price. An ounce of Lavender should not cost $6. The wholesale market price currently for legitimate, first extraction Lavender is about $8 for 10 ml. So remember, just because one company is more popular than another, or more expensive, doesn’t mean they have the best quality. Check out this blog that tested out some EOs with Dr. Pappas of Essential Oil University! 5) Know everything you can! Read blogs, ready books, take an accredited aromatherapy class. The more you know, the better! Just taking a “group” class on Facebook or joining in a forum isn’t enough. If you really want to learn about oils, take an aromatherapy class given by an aromatherapist that way you know your information is coming from a trained professional who has studied in-depth about EOs. Click on this link to find out about some free classes and courses! Refined carbohydrates and sugar hit you right where it counts…the pleasure centers in your basal ganglia. This is part of the brain that releases the neurotransmitter dopamine and it’s the epicenter for addiction cycles. This very common issue is related to as “Food Addiction”. It intensely triggers the pleasure centers in your brain leaving you wanting more and more! Cravings may come on because you did not eat enough proteins and healthy fats at meals. 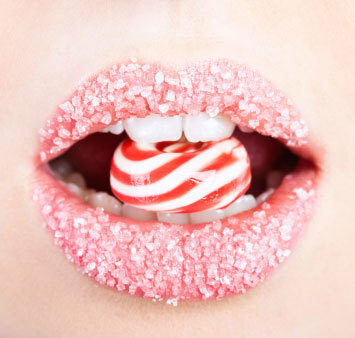 The more sugar you eat, the more you crave. Take out all the white pastas, white flour, sugars, artificial sweeteners, sodas, diet sodas out of your diet. Stop letting your brain get hijacked by unresolved emotional issues that you “treat” with food or other addictions. When the basal ganglia work too hard we can be anxious : when they are low in activity we can be under motivated. Balance your basal ganglia by relaxation techniques and consciously limiting use of technology. Food Addiction issues are not a function of not trying hard enough, not having enough will power or being lazy. It needs addressing your specific issue to eliminate food addiction. Stretching? Ain’t nobody got time for that! Sometimes when I massage half the day and then sit at the desk the other half, I want to do what this woman is doing. Bending over backwards in any position I can to stretch out my back, neck, and shoulders. 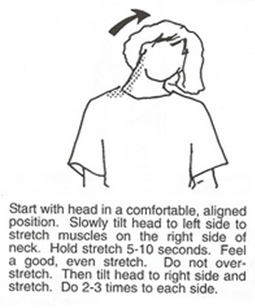 My shoulders are constantly in the rolled forward position, and my neck and upper back suffer from it. Sometimes I ache so much I will try ANYTHING to make it stop! That’s why I have integrated simple stretching into my day. It has been a lifesaver. A lot of people think stretching involves arduous time out of their day that they have to set aside to do something like this. In our busy world, who has time for that? Well, YOU DO! 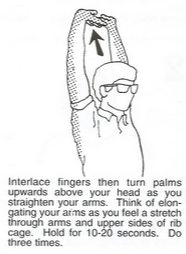 Stretching can be easy and quick to do no matter where you are and doesn’t deter you from the task at hand. Here are 5 simple stretches that are easy to integrate into your daily routine. Stretching is amazing! It can relieve stress, increase circulation to your muscles, relieve back pain, increase your flexibility and range of motion. If you aren’t able to get a massage as often as you’d like, stretching helps maintain muscle health in between appointments and prolongs the effects of the massage. Utilize it when you can and keep on stretching! This is our very first blog so I am so anxious to get to learning how to operate this! There is so much information that I want to share with you all on how to maintain a healthy lifestyle! Check back with us at least once a week to see tips on how to manage stress, quick ways to stretch at work, information on essential oils, and so much more. We’ll do product highlights of items we carry in-store and also do spotlights on the different services we offer and services we are introducing this year. We are super excited about all the new things we are introducing into Fusion, and we hope you are too!